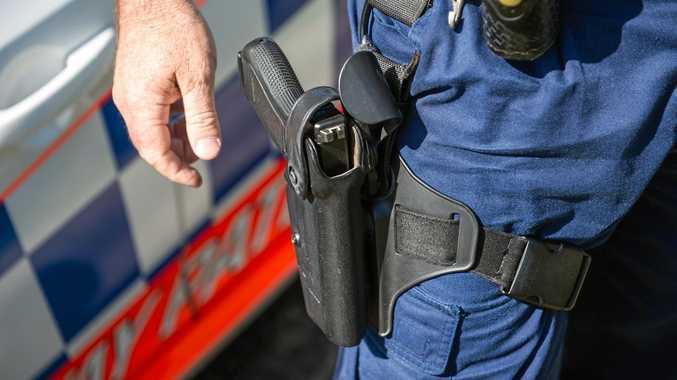 LISMORE police were forced to draw their firearms when their patrol car was rammed by a driver who then sped off and caused several other crashes. 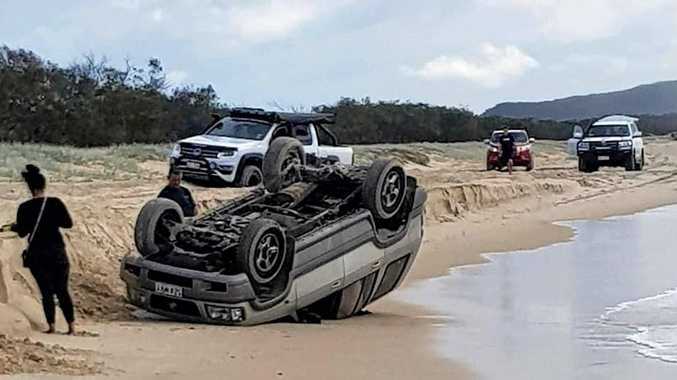 Police allege a stolen Queensland vehicle was spotted in Lismore on Saturday and officers attempted to pull the driver over. A police spokeswoman said their patrol vehicle was deliberately rammed. "At 4.58pm the car crew in (police car) Lismore 15 sighted the vehicle in High St, Lismore, recognised the driver and followed the vehicle into Dawson St and attempted to pull the vehicle over when it did a u-turn to evade police," she said. "The the driver drove directly towards the police car and collided with the front offside (driver's side) of the stationary police vehicle and police were forced to draw their firearms. "However, the vehicle then drove off in a southerly direction and police did not continue their pursuit due to public safety." The vehicle was stopped and the driver arrested in Grafton after another a head-on crash, she said. "The driver had no regard for anyone's safety and was subsequently arrested and charged with a number of offences," she said. "Our police are now receiving incident support."